Puerto Rico Yacht Charter: Unforgettable Holidays in the Caribbean – Superyachts News, Luxury Yachts, Charter & Yachts for Sale. Amongst Caribbean‘s fastest growing yacht charter, yachting and tourism destination, Puerto Rico has everything that is needed for a fabulous and relaxing holiday with friends, family or colleagues. It has four yacht marinas, with each providing unique experience and top-of-the-class services. Puerto Rico yacht charter and yachting is steadily increasing in popularity thanks to the island’s internationally acclaimed tropical allure, adventurous attractions, fine dining, vibrant nightlife and high-end shopping. Not surprisingly, Puerto Rico was voted the “Best Caribbean Island” and “Best U.S. Island” by USA Today’s 10 Best Readers’ Choice awards. 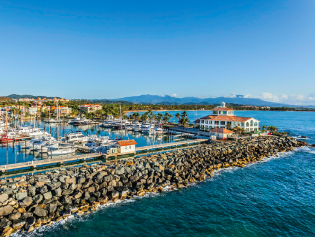 In line with Puerto Rico’s economic plan, the yachting industry plans on strengthening Puerto Rico’s well-established marine, cruise and tourism industries. Puerto Rico plans to increase yachting from $3.6B to $100B+ in the next five years, by investing in local projects bringing in first-class amenities for a booming industry. Together with the competitive port fees and berthing costs, Puerto rico is the only region in the Caribbean where superyachts can dock alongside and thanks to its one-of-a-kind jurisdiction, there are no passport requirements or custom checks for those visiting from the mainland United States, making it an ideal destination for luxury yacht charter vacations. 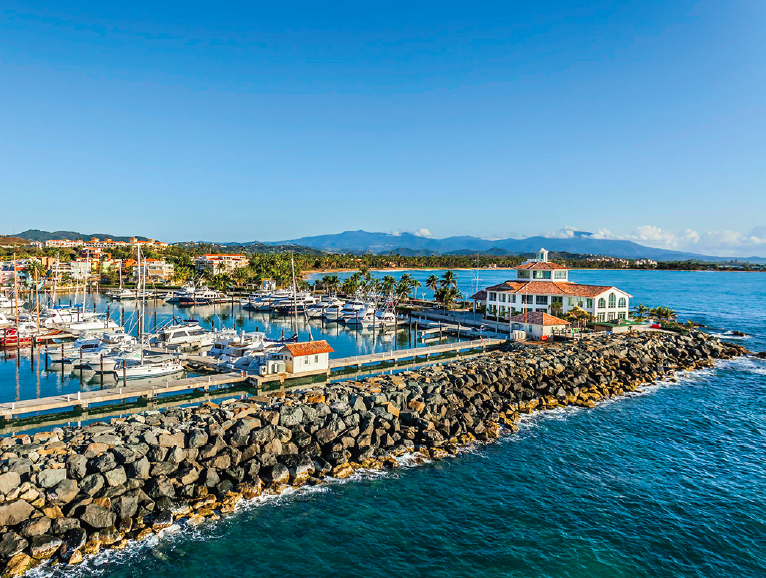 Puerto del Rey represents the largest marina in the Caribbean, situated on the east coast of Puerto Rico, between San Juan and St Thomas. It has a capacity for boats from 30 feet right through to mega yachts of over 200 feet. It is also a great base from where to embark to see some of Puerto Rico’s most famous attractions. Situated on the beautiful southeastern coast of the island, TYC boasts innovative services for mega yachts, together with an access to an exclusive resort community and the well-known Palmas del Mar. Marinas in Puerto Rico are also well equipped to take care of any necessary repair, maintenance and inspection for yachts of all sizes. Fantastic luxury spas, great restaurants and fabulous hotels, such as the new Ritz Reserve, provide visitors on luxury yachts with opportunities for relaxation. Vieques is a must-visit place on any Puerto Rico yacht charter, famous for the brightest bioluminescent bay in the world. Culebra is another great destination to see, with its Flamenco Beach named the second best beach in the world by The Discovery Channel. Amongst the natural wonders, Puerto Rico features exquisite thermal hot springs and fourteen state forests, including El Yunque, the only tropical rainforest in the United States. Puerto Rico is also home to San Juan, the most preserved colonial city in the Americas. When booking your dream holiday in Puerto Rico, remember to contact a company that has access to all the boats… And choose an impartial one that works for you personally (not the yacht owner), with your best interests at heart – like CharterWorld. We are the largest specialised broker of luxury yacht charters and we are the most dedicated, as proven by the testimonials of our clients.